Ships today if you order in the next 5 hours 17 minutes. 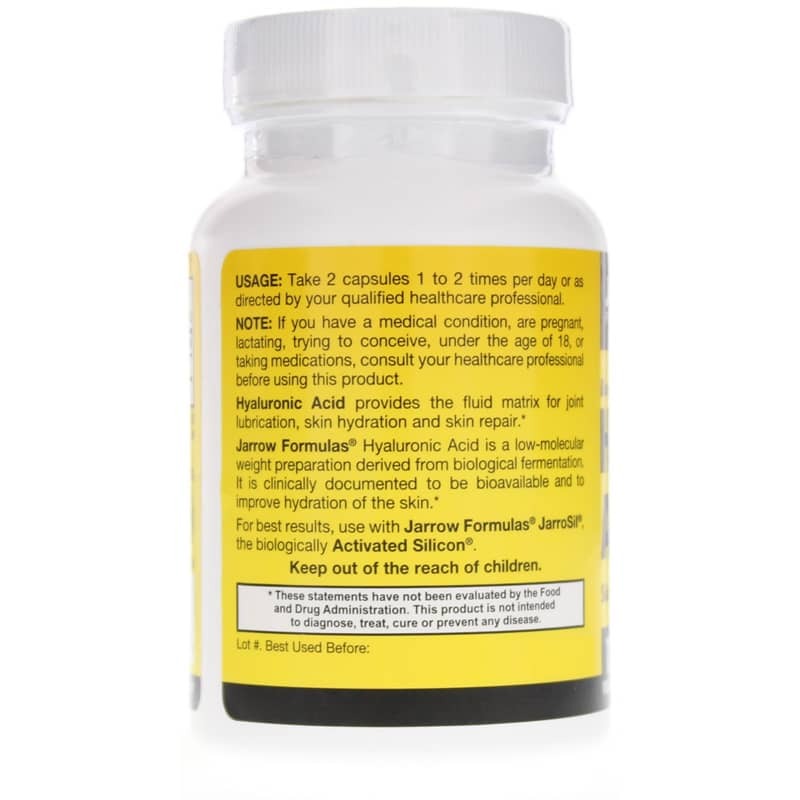 Hyaluronic Acid from Jarrow Formulas is intended to provide support for healthy skin and joints. Hyaluronic acid is an acid that is naturally present in the body. 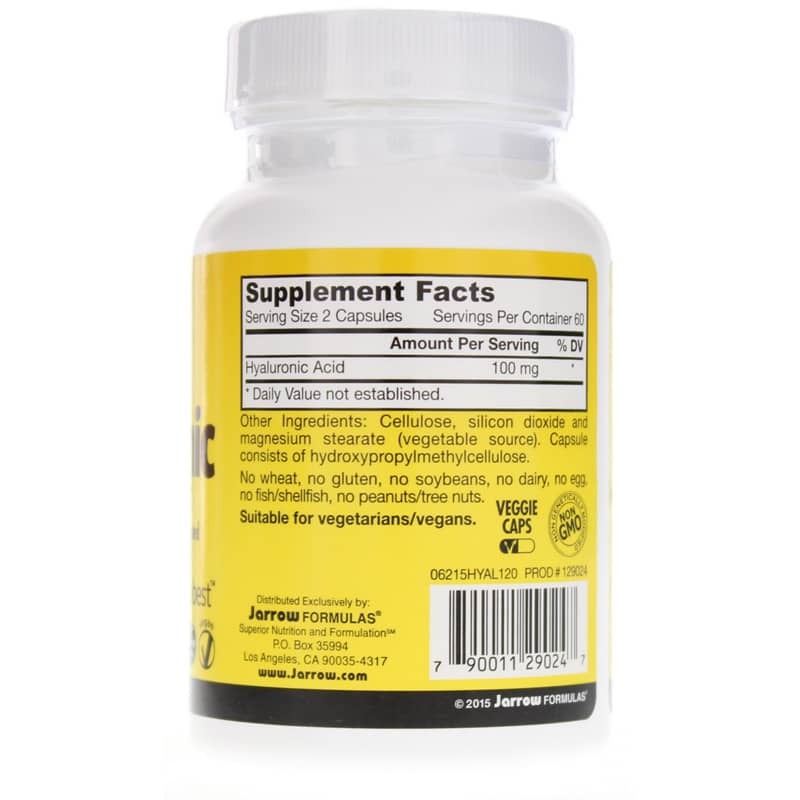 It may support joint health by helping to keep joints lubricated and flexible. Just as it may help to keep joints lubricated, hyaluronic acid may help to keep the eyes lubricated and healthy. It may further promote skin health by helping to keep it hydrated and by helping to build collagen, which is a protein necessary for the health of skin. Hyaluronic acid may also help to fight free radical damage to the skin that may cause wrinkles, and it may promote recovery from skin injuries. This hyaluronic acid supplement is formulated to be bioavailable. Adults may take 2 capsules, 1 to 2 times per day, or take as directed by a healthcare professional. Contains NO: GMOs, wheat, no gluten, no soybeans, no dairy, no egg, no fish/shellfish, no peanuts/tree nuts. Adults: Take 2 capsules 1 to 2 times per day or as directed by your qualified healthcare consultant. 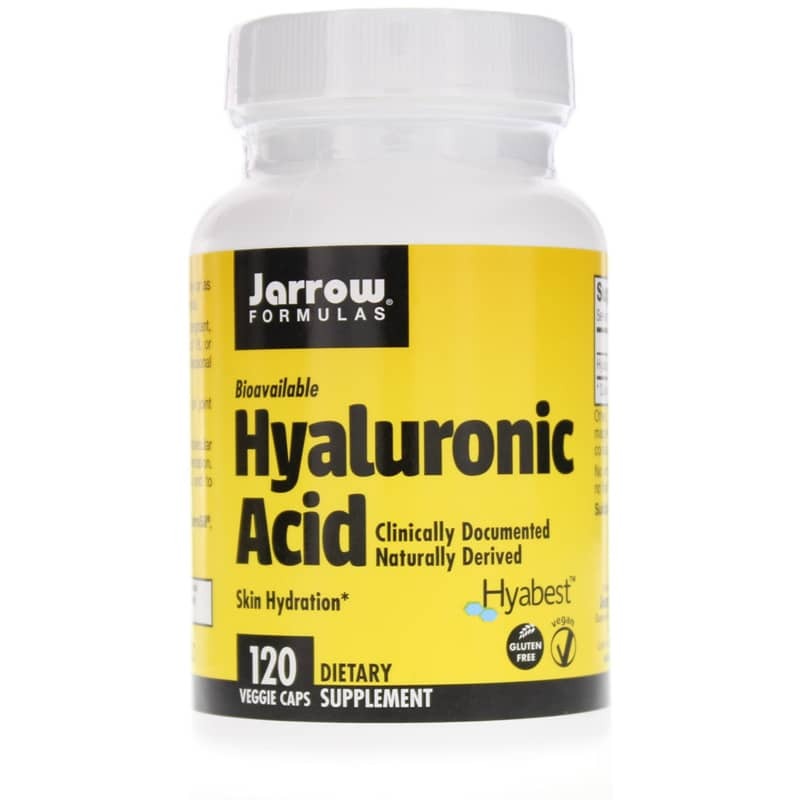 Jarrow Hyaluronic Acid is an easy to swallow pill. Keeps my knees and hips more flexible feeling. from two trusted companies -- Jarrow and Natural Healthy Concepts. NHC is amazing. The product analyses, the feedback, the customer service and fast shipping. There's no better vitamin company. Great price and no problems with product.